This is the seventeenth edition of our new look BANT News we hope you enjoy it. 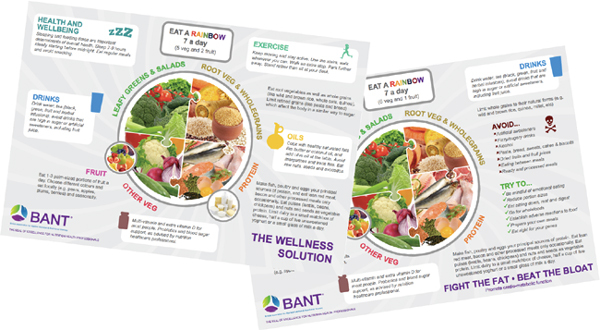 BANT has announced an exciting new partnership that will see Nutritional Therapy recognised by thousands of doctors as the preferred approach to nutrition as part of Lifestyle Medicine interventions. BANT is delighted to announce a new partnership that will see Nutritional Therapy recognised by thousands of doctors as the preferred approach to nutrition as part of Lifestyle Medicine interventions. BANT has joined forces with the European Society of Lifestyle Medicine (ESLM) to promote a comprehensive approach to healthcare that integrates all levels of biology, medicine and lifestyle, where Nutritional Therapy plays a key role, both in the prevention and co-management of chronic disease alongside medical professionals. The ESLM aims to prevent lifestyle-related chronic diseases, improve the management of people who have these diseases through professional education and research, and develop guidelines, standards and policies that promote optimal patient care and health. BANT members will be offered an exclusive 25% off membership fees and can become founding members of the Society if they access this exclusive offer before the end of July. BANT members can expect to learn about the Lifestyle Medicine approach in the coming months via pages on both the BANT and ESLM websites, currently under development, and via social media features. Additionally, a full day event on Lifestyle Medicine will take place in London next year, and BANT has been invited to present at the ELSM annual conference in Paris next year. ESLM is also working on an education programme for its members featuring Nutritional Therapy that will be partly delivered by BANT members. These exclusive benefits are available to Registered Nutritional Therapists only. BANT Chair Miguel Toribio-Mateas said: “This partnership is so exciting for BANT and our members. Nutrition is at the heart of our lifestyles, so this is a natural fit. The underpinning principles of Nutritional Therapy as supported by BANT are absolutely compatible with those of the Lifestyle Medicine approach. This sort of recognition for Nutritional Therapy as part of an integrative approach to healthcare is exactly what we have been working towards. “We have also teamed up with the ESLM to develop a peer reviewed journal with the world’s leading scientific publisher. The aim is to create a joint ESLM and BANT journal, further developing the credibility of Nutritional Therapy in the scientific and mainstream healthcare arenas. These truly are exciting and groundbreaking times for BANT,” he added. The ESLM Scientific board is led by professors from of the most reputable university research centres in Europe, many actively involved in Horizon 2020 and CARRE projects by the European Union. Horizon 2020 and CARRE are multi-billion science and health research projects funded by the EU. It is hoped that BANT can contribute with specialist opinion on nutrition matters to answering questions that could lead to funding of Lifestyle Medicine preventative healthcare projects. For more information about the Society’s activities, please visit www.eslm.eu, and follow on social media: twitter.com/eslmorg, facebook.com/ESLMlifestylemedicine and LinkedIn. To access the special offer for BANT members, click here.